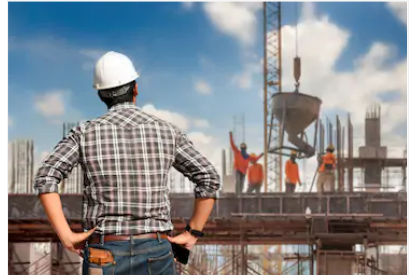 As I already given detailed explanation about how to find out the quantity of Cement, Sand and Aggregate required for different grades of concrete. Here you can learn about quantity of Water is added in M20 grade concrete (all grades). We know that, Concrete is a mixture of Cement, Sand, Aggregate and water. 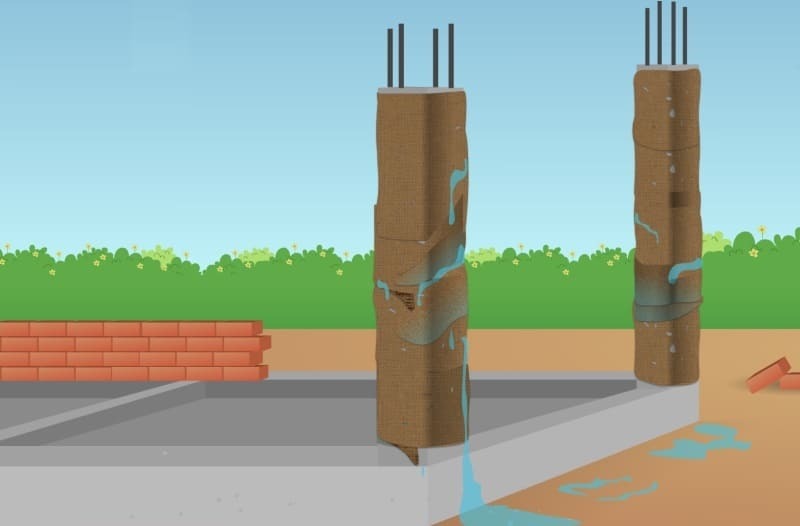 Water-Cement ratio in concrete possess a great rank in acquiring desired strength of concrete. Different grades of concrete have different proportions. 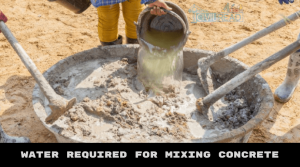 Same, Different grades of Concrete Mix design need different quantity of water. We know that as grade increases, strength of concrete increases. But when coming to Water quantity, as the value of grade increases quantity of water required for making concrete decreases. Don’t forget, excessive use of water in concrete may leads to shrinkage and creeping. In below ‘M‘ refers to Mix and value behind M refers to Compressive strength of concrete in KN/cu.m at 28 days. 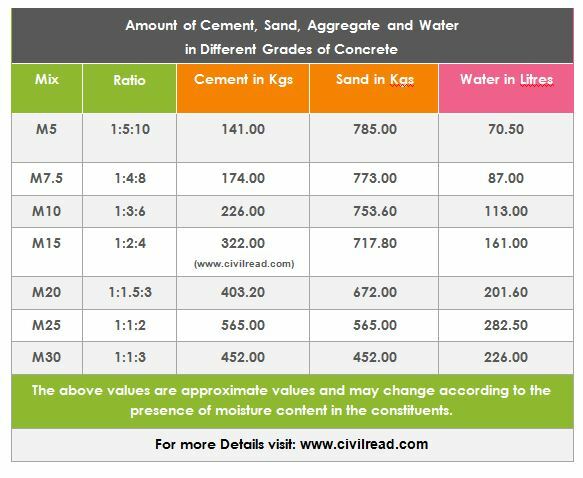 Remember, the above mentioned values are nominal and may varies depending upon the moisture content present in sand, cement and aggregate. We don’t use the sand which has a moisture content of more than 5%. 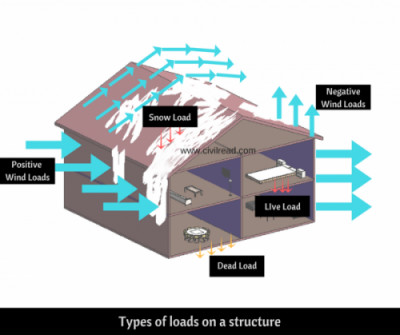 As moisture content varies from place to place and time to time. Above mentioned values are standard values. It is very good to learn again and again our field important parameters to keep us up to date. Great post with important terms sound technically. Sir , please send me the formula to calculate the water required for different grades of concrete. Nice job. this is wonderful use for us. 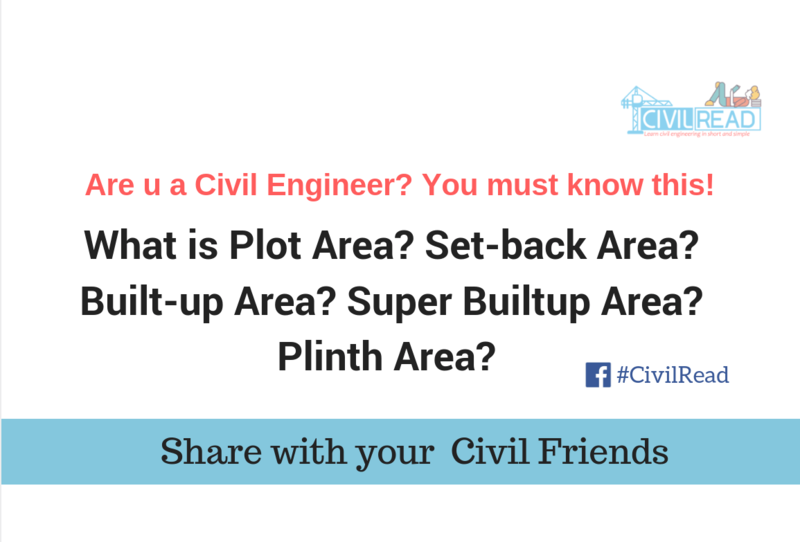 Please can u send with the example for M20 grade concrete w/c ratio..